Get one heck of a smooth and quiet drive, complete with a V6 Engine. This baby handles turns with ease! Forward collision warning with automatic braking to prevent an accident. Lane departure warning, which alerts you if you drift out of your lane and even nudges you back into it! Adaptive cruise control, to keep you from going faster than the vehicle in front of you when your cruise control is set. It will automatically slow you down and help keep your speed steady. “Would you like to take a rest?” – If you start drifting, or have been driving a while, the car will suggest pulling over and taking a rest! The XLE Premium trim can remember position settings for both the driver’s seat and the exterior mirrors! This is super convenient if you have two drivers with different heights (most households do)! Power-operated trunk, which is great for moms with full arms. Just stand by the rear for a bit, with the key fob in hand, and the trunk will open! Good gas mileage with 21 mpg in the city and 30 mpg on the highway. High price for the class of car and comparable vehicles, starting at $33,000. Not a lot of room in the trunk, but that’s to be expected for most mid-size cars. Being a large car I would expect a little more. 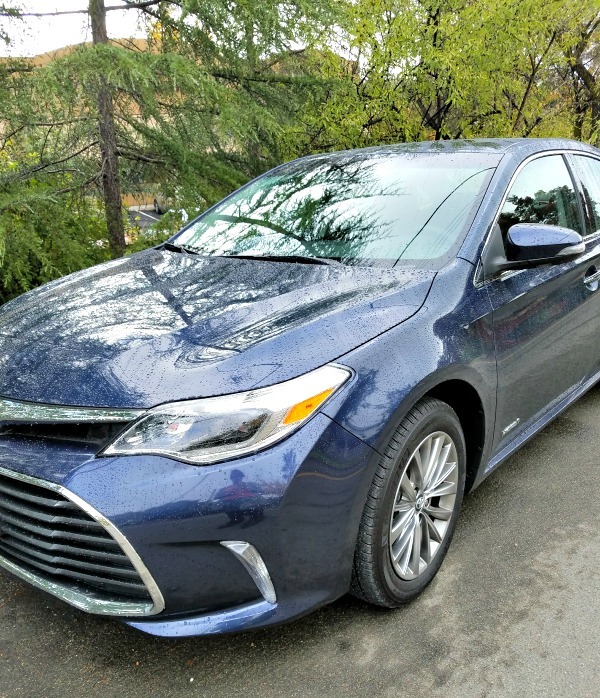 The Toyota Avalon can’t be beat when it comes to the safety department. Aside from being a brand you can trust, the Avalon boasts top safety scores which are a priority for most families. This is a car definitely worth a test drive when you’re in the market for something new! I can’t wait to see what the 2018 has to offer.